A whole food ketogenic diet is one of the most nutritionally complete, and healthiest diets that people can eat. There are so many medical benefits to following the keto diet but many people come looking for longterm permanent weight loss. During any weight loss journey, your loss can stall, or reach a plateau. 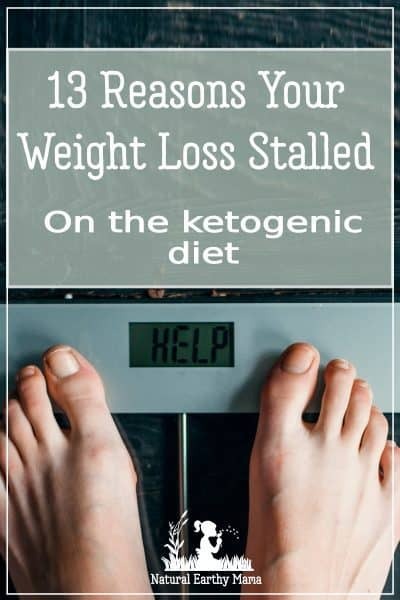 If you are following a ketogenic diet and have stalled out and reached a plateau on your weight loss journey, here are 13 reasons that this may have happened. As with any weight loss regimen, nothing is clear cut, and rules need to change and be personalized because our bodies are all different. What works for me, may not work for you and visa versa. The ketogenic diet is the best to help you optimize your health and achieve your weight loss goals, but there are some tweaks that you may need to make along the way. What is a weight loss stall/plateau on the keto diet? If you are a man in your 20-30s and you have not lost weight in the last 2-3 weeks, then you are allowed to call it a stall. You are not supposed to call it a stall until you have had over a month of no weight loss. You may not be losing weight as fast as you may like, or your weight loss may have slowed right down, but if you are still losing anything, it is technically NOT a stall or plateau. HOWEVER, the 13 reasons you have hit a plateau may well still be relevant to you. Ladies, your bodies are different to men. How often have you ventured on a weight loss plan with your partner, only to see that he loses it so much faster and with greater ease than you?! Your body is designed to protect itself from weight loss, if you lose too much your fertility will shut down. We are the gateway to the success of our species, nature has designed our bodies to retain fat to allow us to breed and raise children despite famine. If you lose weight too fast, your body will put on the breaks to protect itself, and the species. Women do not lose weight in a linear fashion like men do, you loose it in fits and starts, with you fluctuating hormones. You need to be realistic with your weight loss journey, it will be an up and down cycle. Get used to it, this is healthy and what your body is designed to do. Trust the process. RELATED POST: Keto for women and how it is different. 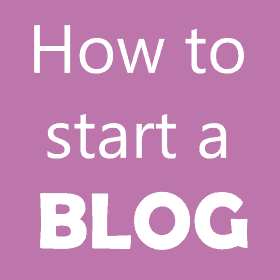 If you are still losing weight, even just a tiny bit, it is not a stall, you may have slowed down, but any loss is not an official weight loss stall. If you are insulin resistant, you will struggle to lose weight. It is not impossible. You need to keep those carbs at 20g of net carbs or less! If you have hit a proper stall, try dropping your total carbs to 20g for a week or two and see if that helps you. Increase your fat intake to make up the difference. To find out if you are insulin resistant, grab a tape measure. Measure around your waist and divide that measurement by your height. Your waist:height ratio should be less than .5, if it is over .5, you are insulin resistant. There are times, especially if you are a woman, that your body will retain fluid as you lose weight, or you may be growing muscle as you are burning fat. Water and muscle both take up less room than fat, so your measurements will still change even when the scales aren’t. If the scale isn’t moving, you should check your measurements. Ideally you will stop daily weights, instead pick a day for example every Sunday and just weigh yourself then, after using the bathroom but before breakfast. If it is in fact water that you are retaining, your body will intermittently release it and you will find that you will spend 24-48 hours peeing a lot, and you can lose 1-4 pounds in 24 hours when this happens. If you are coming from the Standard American Diet, or the SAD as we call it, you may have NO IDEA how many grams of carbs, fat or protein that different foods have. Try tracking for a few weeks and find out what foods are good and not so good. This is a great way to increase your nutrition and diet knowledge. You may not realize what you are eating is full of carbs, as you get used to keto, some things tend to sneak in. Nuts – some are full of carbs like cashews while macadamia nuts are much better. Onions and garlic are fairly high too, especially onion powder. They have tricks to get you to eat carbs. Why? Because carbs are cheap, and easy. 1 They round down. Did you know that on food labels they can round down not up. If a food item has less than 1 g of carb they can round down to zero! 2 They can make serving sizes stupidly small . Have you seen those giant cookies? A serving size is 1/4 of a cookie. What?? Who eats 1/4 of a cookie?? They may say on the nutritional info 2g of carbs. But actually each serve has 2 g, but if there is 4 servings in one cookie, they whole cookie has 8g of carbs. Now if they also rounded down from 2.9g of carbs for one serving, now suddenly you eat a cookie that almost has 12 grams of carbohydrates and you thought it has 2! 3 They get to make up names. Organic cane syrup – that is sugar. Maltodextrin that is sugar. 4 They skew results with sugar alcohols. Sugar alcohols are not all created equal. Maltitol and sorbitol will spike your insulin in the same way (if not worse!) than white sugar does. Erythritol and Xyliltol have much less insulin effect, and in some people it won’t spike it at all. 5 They can call something anything that they want. Don’t trust names on the packet. Atkins, keto, lchf on the label does not mean that it is safe or good on the ketogenic diet. Remember that big food aren’t looking out for you, they are marketing to you. We all know that insulin is the gate keeper to weightloss. But after insulin, the next most important weight loss hormone is cortisol. Raised cortisol will keep you fat. Cortisol keeps you fat to protect you from perceived threats. Back in the day it ensured you had enough stored to get you through war, famine and fights. Get the bad stress out of your life. Make a plan to tackle it and start to DO IT. Deep breathing – yoga, meditation or simply deep breathing is the only way science has found that actually swaps your body from the ‘flight/fight/freeze’ panicked and anxious state to the relaxed and safe ‘rest and digest’ state. Take time several times a day to do a cycle of deep breathing. Keep your room dark – no lights including your alarm clock. Some people aren’t great with consuming dairy. If this is you, you may find that too much heavy whipping cream might cause you to stall. HWC has 1 g carbs per serve (2T) and it can stall you out. If you are a cream-in-the-coffee sort, try and swap out cream for butter and see if that fixes it. You totally need protein to build and maintain your body in good health. However if you are having carbs and protein then too much of it can stall some people. If you are totally ketogenic, then eating protein does not raise your insulin. Watch this interesting lecture about it. Even zero carb, sugar free sweeteners can raise your insulin through a process called the cephalic insulin response link. Even thinking about sweet food, or smelling them can raise your insulin a tiny bit! Sweeteners still raise your insulin somewhat, it is very much individual, depending on the person. Erthyritol has least effect, but can still trigger insulin in some people. Genetically we don’t need sweetness, but we do crave it from time to time. Ideally you will move away from craving or wanting sweet things over the course of your keto journey. Try and replace with fat instead, you might be surprised how satisfying that is. Removing sweet things from your life is a process, and some low or no carb sweeteners can help you manage this more easily, but if you are stalled or hit a plateau, try cutting them out totally for 2 weeks. Going full carnivore for some people is too extreme. However it can help kill off any carb loving bacteria in your gut and break that carb addiction once and for all. The carnivore diet consists of just eggs, butter and meat and water. Do that for 2 weeks, it will likely smash through any stall you are having. There is an outcry that teaching fasting is irresponsible and likely to cause eating disorders in our youth. I would like to suggest that teaching our children to eat constantly is doing much worse damage. If you aren’t trying fasting, you are missing out. You can do something as simple as skipping breakfast, right through to extended 2-3 day fasts. 1 Autophagy (literally ‘eat itself’) this is when your body consumes scars, old tissues, and unused parts to keep the system alive. Organs that shrink during a fast then regrow with fresh, new cells. This is huge. This is life changing. Start slow with moving your breakfast back. Read more about intermittent fasting here. Nothing kicks your body in to deep ketosis better than a bit of fasting! 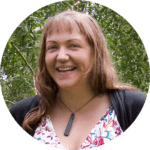 Do you have an underlying issue that is slowing or stalling your weight loss on the keto diet? If you have tried everything above and nothing is helping, then you need to see a doc that understands weight loss and hormones. Weight loss is not a calorie deficit thing it is a hormonal thing. Thyroid with a complete panel make sure your doctor is following these guidelines. And then you need to work with your doctor to correct or optimize them. These include beta blockers, psych meds, steroids, statins, niacin, antibiotics and decongestants. Are you stuck in a keto diet plateau? These are the top 13 causes for getting stuck on a weightloss stall and some solutions to get you through. Got more questions about keto? Check out our keto FAQ page.